Regarding the tamping system our primary goals were to build a groundbreaking device that is fast, versatile, and intelligent. We would implement a device that included self teach functions. We would minimize opportunities for confusion and improper setup. We would have a system that could provide a simple tamping operation like previous generation tamps but with options to provide significantly more sophisticated motions for approaching a target and performing placement operations. We would design a modular system with capacity to grow and enhance its features and functions. We are pleased to introduce our new intelligent electric tamping system, the LabelBot, for our LC100i Applicator products. This tamping system will change label placement as it has been known for decades. The LabelBot Intelligent Electric Tamping System will be the best tamping ever used for automated label placement operations. Stay tuned for future developments and eventual implementation of this tamping unit to our PL Applicator products. What Makes Nautilus Systems Special? >Capture >Peel >Place – that’s what makes us special. Now compare that to traditional labeling systems using the process we refer to as Flutter, Float, Levitate, and Hope. You will see that there is a vast difference between the two technologies. The traditional technology uses a combination of puffing air and vacuum to float/levitate the label from the liner to the vacuum head as the liner advances. It is a very uncontrolled process. You don’t need to be a scientist or engineer to understand > Capture >Peel >Place. 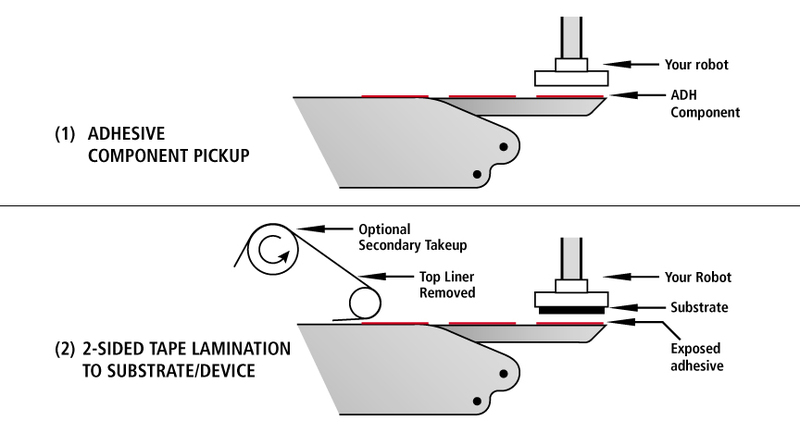 Unlike traditional labeling systems our innovative design provides a system that can remove virtually any adhesive component from a roll and place it onto a substrate with extreme reliability and high precision. > Capture >Peel >Place allows us to >Capture the adhesive component while it is still attached to the liner (roll), >Peel the liner away from the adhesive side of the component, and >Place the component onto the desired target. This method maintains control of the component at all times. Components can include all types of roll-fed die-cut materials including labels, insulating tapes and films, conductive tapes and foils, gasket materials, medical materials, hang tabs, multi-layer materials, and more. Likewise, our systems are not affected by the shape of the material. We can > Capture >Peel >Place components that are rectangular, round, frame-shaped, odd-shaped, and even capture multiple detached arrays of components simultaneously. Any material and any shape of component can be automatically applied with this technology. That’s why we’ve become a standard solution for industries as diverse as Packaging, Automotive, Medical Device, Energy, Semiconductor, Mobile Device, Electronics, Consumer Goods, and more. The NSXR-G1 Controller package features state of the art processors, electronics, and communication protocols and enhanced firmware. This engineered combination of improved hardware and firmware provides several substantial benefits. One benefit that will be noticeable to our customers is that each PL Series Applicator operates at faster speeds in all modes of operation than was previously possible. Another substantial and obvious benefit is the small size of the NSXR-G1 Controller. Our previous generation of controller, the NSC2X Controller, was packaged in a separate enclosure that was connected to the PL Series Applicator via several cables. 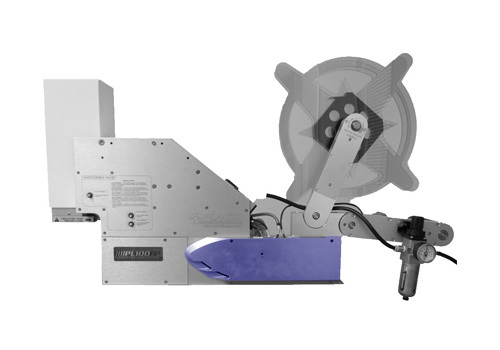 Due to selection and configuration of state of the art components this new package will be attached directly to the PL Series Applicator adding only approximately 12mm to the overall thickness of each PL Series Applicator. The external controls enclosure has been eliminated. No longer is there a requirement to mount another enclosure or route the cables from the enclosure to the Applicator. The only cables remaining now are the Configured I/O cable, for connection to your PLC or other external controls system, and the power cable. Regarding the power, the system is now supplied with an enclosed power supply, similar to what is used with a laptop computer. Simply plug in the power supply to an appropriate AC outlet, connect compressed air if required, and the system is ready to run. Finally, the NSXR-G1 has also been put through significant testing per CE EMC requirements. 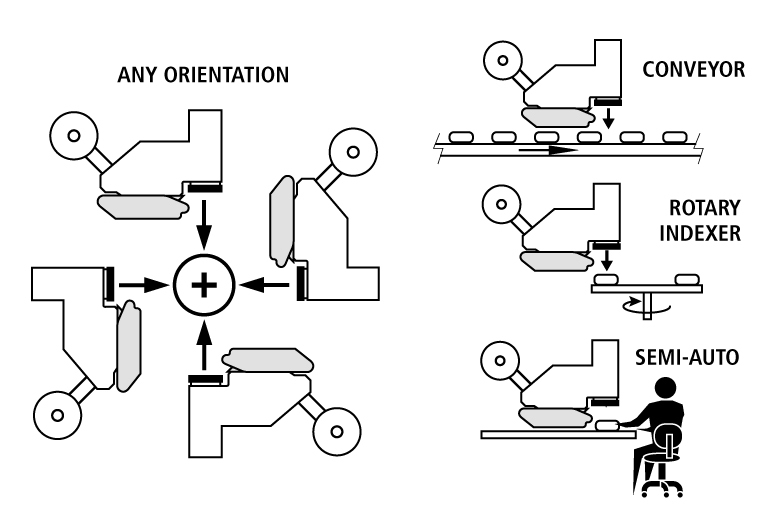 It has been proven to provide robust operation when unexpected events such as ESD occur in the production environment. Nautilus Systems is proud of this advance in technology and looks forward to continually providing our customers with the best technology available for adhesive component placement.